Many people experience anxiety when faced with going to the dentist, and some deal with fear so extreme that they avoid the dentist, something that can potentially compromise the health and function of their teeth. Sedation dentistry offers an anxiety-free, relaxing experience for individuals who deal with the fear of the dentist or those undergoing longer, complex dental procedures. Is sedation dentistry right for you? Here’s a closer look at what you need to know about going to a sedation dentist. 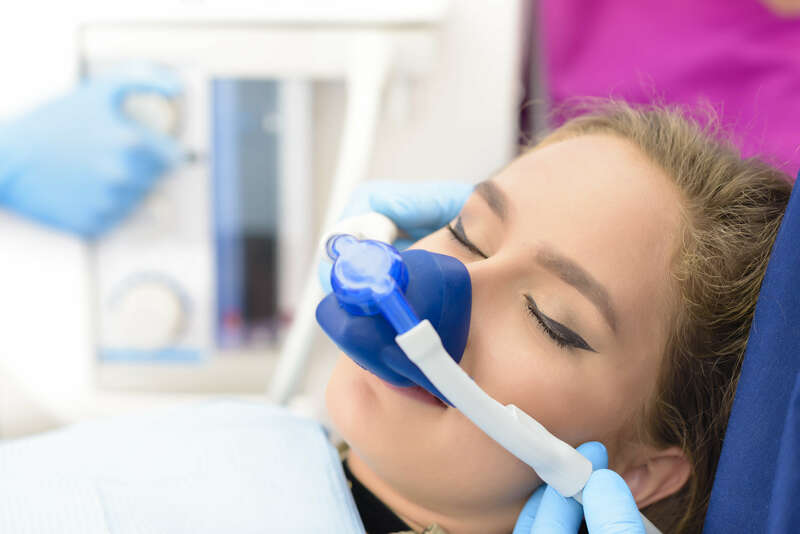 Light Sedation – Light sedation, which is often achieved with nitrous oxide, keeps you relaxed and comfortable, but you’ll usually stay awake throughout the dental procedure. Moderate Sedation – Moderate sedation results in you feeling very relaxed. You’ll be so relaxed you won’t function normally, although you’ll still be able to respond to any basic commands. General Anesthesia – This type of sedation will put you completely to sleep. You’ll be in a state of unconsciousness, so you’ll require assistance breathing. In most cases, general anesthesia is just used for oral surgery. Oral sedatives – Pills can be taken before a dental appointment or the night before to relax you. Oral sedatives only relax you and won’t help with pain relief, so you’ll still require local anesthesia to numb the area being worked on by your dentist. Nitrous Oxide – Often called laughing gas, nitrous oxide is inhaled and will help you relax while staying awake. It doesn’t help with pain, so you may need local anesthesia. IV sedation – IV sedation involves administering sedatives via IV, although this method of sedation is less common. Sedation dentistry offers patients many different benefits. One of the main advantages of sedation is that most patients only feel like a dental procedure last just a few minutes, even if it actually took a couple of hours. This makes it a perfect option for more complex dental procedures, such as extensive rebuilding procedures or smile makeovers. Since patients can withstand longer periods of time in the dentist’s chair, procedures that often require multiple visits may be performed more quickly in fewer appointments. Another benefit of sedation dentistry is that it can help patients overcome their fear and anxiety, so they’re able to remain comfortable throughout routine exams and more complex procedures. This makes it possible for those with extreme dental phobias to get the routine care they need, so they don’t ignore their oral health and end up with severe oral health problems in the future. In some cases, sedation dentistry may benefit individuals with special needs or disabilities. Some individuals with autism, Down syndrome, and other special needs may have difficulty dealing with dental appointments. Sedation can keep them calm and relaxed so they’re able to get the care they need to maintain a healthy mouth and smile. If you’re interested in sedation dentistry, it’s essential to select a dentist that has been well-trained in sedation procedures. In most states, dentists are required to undergo specialized training in sedative medications, techniques, equipment, and more so they have the skills needed to practice sedation dentistry safely. Look for a dentist who not only has the education necessary to perform sedation, but also experience in sedation dentistry. Not everyone is a good candidate for sedation. Your dentist will take your overall physical and mental health into consideration before determining if it’s safe for you to undergo sedation in the dentist’s office. It’s important for your dentist to do a physical assessment and take a complete medical history before deciding to administer sedation. In some cases, you may be asked to receive medical clearance from your primary care doctor as well. If you’re worried about upcoming dental visits, talk to your dentist’s office about sedation and whether it’s a good option for you.